Matthias Alexander was an actor/orator. He was born in Tasmania, struggled in Victorian era Australia, and brought his technique to fame in London. And that tells us far too little. Confucius tells us that to learn the measure of a man, we ought to take a look at his pleasures, his pastimes. A man, he says, simply cannot hide himself. And what was Alexander’s favorite pastime? Well, the horses. He was a rider. He grew up around horses; he loved the track, and missed few opportunities to place a bet on his favorite. He saw that horses, when they are first ridden, are not too pleased at having a 150-pound rider on their backs. Their response is terror and an overwhelming desire to rid themselves of their unaccustomed burden. They hollow the back, they shorten the space between the base of the skull and the shoulders, they send the eyes skyward, and the head back and down. The response that Alexander had seen in horses, he must have recognized in himself. He suffered from debilitating laryngitis and sought help from the medical community. He reasoned that since the temporary relief he received from prescribed vocal rest did little good and that his problem returned every time he spoke in public, that it must be something that he was doing that made him lose his voice. 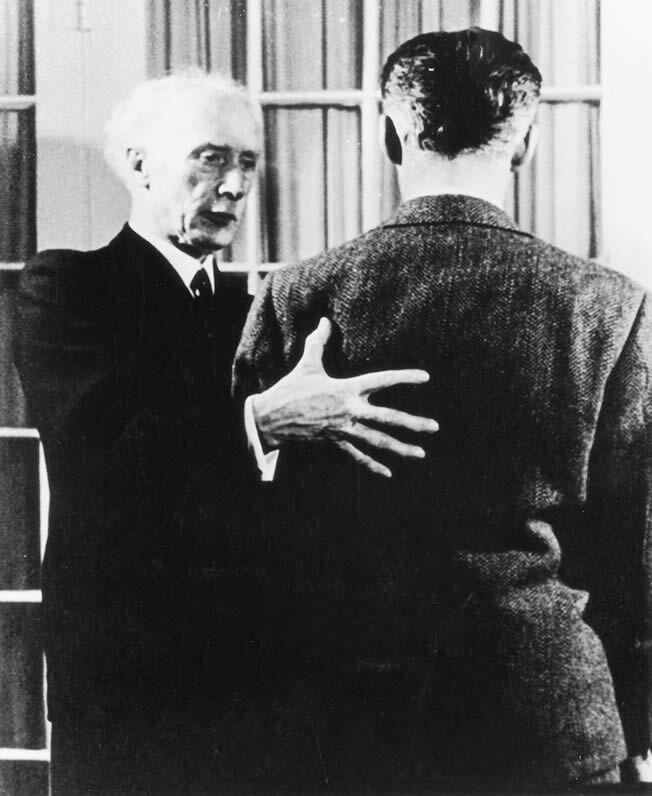 Working with a full-length mirror to observe himself in action, Alexander saw that his response to the stimulus of dramatic speech was to push his head back and down. He does not report that he recognized in himself the response he had seen in horses, but it is difficult to imagine that he did not. He recognized that—like horses—human beings have the ability to replace the habitual pattern of back and down with their own innate animal dynamism, the head’s going forward and up while the back lengthens and widens. He found, perhaps more importantly, that before he could reliably summon the new, he had to say good-bye to the old. He taught himself to give a command, to think in activity, and at the same time to withhold consent for its initiation. By delaying fulfillment of his action, a new response emerged, one unencumbered by habit. He had found a way to circumvent his habit. In solving his own problem, he had discovered a discipline that has changed countless lives. He had discovered a way to move and live more mindfully. Like Archimedes in his tub and Newton with his apple, Alexander’s discovery, his genius, was his connection of an everyday phenomenon with an over-arching principle. It is a discovery that continues to resonate in the lives of his followers everywhere. Is the Alexander Technique for you? If you too have learned that wishing is not enough to correct your posture, eliminate your hoarseness, make you comfortable in you own body, then yes, the Alexander Technique is most definitely for you. Others before you have found the Alexander Technique to be an unsurpassed means of promoting progress and nurturing change.